Despite annoying spam, splashy corporate hacks, and constant online distractions from social media, e-mail continues to play a major role in the day-to-day life of American workers. A recent study conducted by the Pew Research Center’s Internet & American Life Project found that e-mail is especially important to executives, professionals, business owners, and clerical workers. They consider e-mail to be the main communication channel critical to their jobs, a finding unchanged since e-mail emerged a generation ago. In fact, the study calls e-mail workers’ most important digital tool. The study, which sought to determine the impact of technology on American workers, found that over half of jobholders also highly value the Internet. These workers can be found in diverse situations: large enterprises and small proprietorships, urban and rural locations, and high-tech as well as non-technical industries. Interestingly, the report found that those surveyed favored landline phones over cell phones, although in smaller numbers. Only 24 percent considered their smartphones “very important” to doing their jobs, while 35 percent say landlines are “very important” to their work. The survey also disclosed that social networking is largely irrelevant to a majority of workers. Only four percent said social networking is important to their work. Technology—specifically e-mail, the Internet, and cell phones—has had a profound effect on Americans’ work experiences. Over half of those surveyed claim these tools have expanded communication, improved job flexibility, but also increased the amount of time they spend working. Thirty-five percent told researchers that they spend more time working as a result of cell phones and the Internet. Contrary to popular thought, the majority of workers do not think using the Internet has decreased their productivity. Only seven percent claim the Internet has made them less productive, while 46 percent say it has made them more productive. An equal number say the Internet has not affected their productivity at all. This finding flies in the face of many pundits claiming that digital tools are a distraction in the workplace. 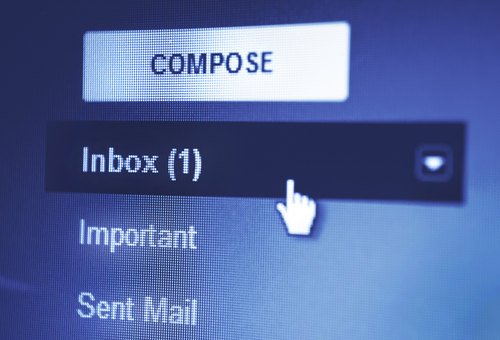 Were you surprised to learn that e-mail still plays such an important role in the workplace? Post your comments! This entry was posted in 2. Featured Articles and tagged email, productivity, technology, workforce on March 3, 2015 by bizcombuzz.